Can somebody of you point out where this DI is happening ? Send them a message asking when and where. Garchen Rinpoche also gives Ganges Mahamudra instructions online via live stream. For the sake of argument I'll label methods with DI as 'revelatory' which may need to be followed by 'developmental' practice, and those without it as mainly being 'developmental' alone, as they will have guidance but not DI. Given the past few posts, is there a Gelug 'revelatory' method? You see. Who say there is no thoughts right from the beginning? At the very least,you still use words to give pointing out instructions. You still use words to promote your own lineage and to accuse others. @Malcolm, I don't know what Sakya pandit said about the Dzogchen. Mahamudra offers a gradual part in which the guru is NOT directly and unmistakenly showing the nondualist view to the student? Without the pointing out instruction, one cannot practice anuttara deity. If the disciple mind is established on first to third empowerment, mere words of fourth are sufficient. 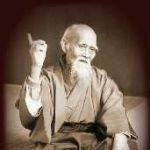 However, different teachings stress different aspects. First, get a mirror. Now, get a face. Now, remove the face. Now, you are introduced. I like "revelatory". Is just that at that time some of us are mostly distracted by our own energy . Rigpa in a non-conceptual perception of emptiness which corresponds to path of seeing. No, it is not correct to say this. Is guru in mahamudra giving sorts of DI like in dzogchen at the beginning or is it showing it during the practice based on students experience? Which Mahamudra are you talking about? The result of the two stages is real mahāmudra. In any empowerment, direct introduction is given during the fourth empowerment. Yes, this also happens. But as Malcolm says, there are several different styles of Mahamudra. 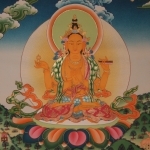 Are the two ultimate systems of Mahāmudrā and Dzogchen. But those who practise it are few and far between. And is of benefit to all, regardless of capacity. 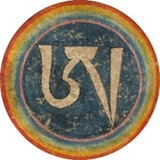 Sahaja Mahāmudra also requires empowerment, usually termed "the descent of the wisdom vajra." The gradual style of pointing out is appropriate to so-called "Sūtra mahāmudra.," which is mahāmudra in name only. I meant mahamudra where student engages in shine and later on lhagtong kinda like in dzogchen semde. Is Sahaja Mahamudra the 'Mahamudra of the innate' in that text? Also, in case anyone knows, I wonder what kind of Mahamudra do the sons of Tulku Urgyen usually transmit. So here ends my discussion with you and i hope not to be engaged in such "sectarian and mistaken"
discussions with you anymore in the future. KY "the mistaken sectarian Bönpo". It's been nice knowing ya. Adiós. Indeed. In fact, this coming June 30 – July 1 Garchen Rinpoche will be offering pith instruction on the Ganges Mahamudra. Don't know if it will be live streamed, but I'm guessing it will. The pointing out in that form is I think not the same thing as direct introduction. I know opinions will differ on this. There are teachers who whenever they give instructions on texts of that type always give a related empowerment on the same day, because then you do have the fourth empowerment conferred. The use of mahamudra to refer to (a) the curriculum developed and propagated by Gampopa, and also (b) the result of the two stages, causes endless confusion. The terminology “sutra mahamudra” seems to add to that confusion. I was asking if there is a form of DI 'revelation' in any of the various Gelug practices. I think Malcolm has answered it - the '4th empowerment'.